You wouldn’t believe it, but there are actually numerous meal delivery services that offer specialized, gluten-free menus. You have to be careful, though – for such a specific diet, you want to be sure that you’re buying only the best ingredients available on the market. Here’s a list of the top 10 gluten-free meal delivery services out there. All meals on Freshly’s menu are 100% gluten-free and made with all-natural ingredients. With dozens of meals on the menu each week, you are sure to find something healthy and tasty to enjoy. BistroMD is a perfect choice for those looking for a gluten-free weight loss diet plan. All meals are tested to meet FDA's gluten-free regulations and delivered to your doorstep every week. The Good Kitchen is a 100% gluten-free meal delivery that offers high-quality, delicious meals without any added sugars, processed products, preservatives or additives that can harm your health. By providing great gluten-free meal options, Home Bistro can satisfy a wide range of culinary needs. Fresh and tasty meals are carefully prepared and delivered weekly to your home. Veestro proudly offers gluten-free options with every menu it provides. Pick your favorite vegetarian recipes made from 100% organic produce and enjoy them without taking any health risks. 22 Days Nutrition pays close attention to the ingredients it uses. Its meals are gluten-free and 100% organic, meaning you can finally eat healthy foods without worrying about your allergy. Pete’s Paleo delivers colorful and tasty Paleo meals across the nation. All the meals are gluten-free, made from organic ingredients, and professionally prepared by its team of expert chefs. 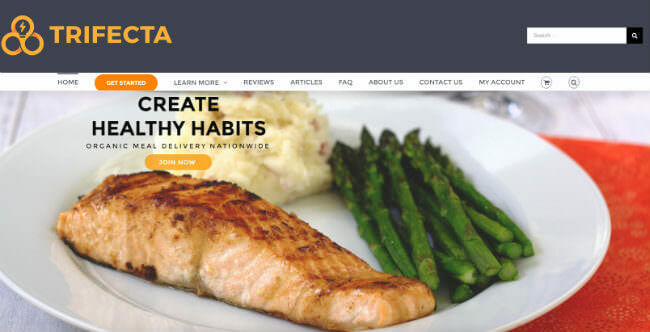 Trifecta Nutrition is a meal delivery service that allows you to transform your eating habits without having to make extra time for shopping and cooking or opt for unhealthy take-out options. Many Medifast meals are certified by the GFCO as gluten-free. Whether you’re intolerant or opting for gluten-free as a lifestyle choice, Medifast has a meal plan for you. Get 30% off with free shipping and 6 bonus gifts! Healthy Chef Creations offers a wide range of gluten-free meals. Receive all-natural dishes prepared by professional chefs and customized to meet your exact dietary needs. Eating a gluten-free diet offers a wide spectrum of health benefits, ranging from promoting digestive health and improving cholesterol levels to boosting your overall energy. It also eliminates unhealthy foods, such as those rich in fat and sugar, fried foods, etc. Gluten is essentially unhealthy for you and eliminating it from your diet can help you reduce the risk of certain cancers, heart disease, and even diabetes if you’re intolerant to gluten. A gluten-free diet will help your body ward off germs and viruses since you’ll be increasing your intake of essential vitamins, minerals, and antioxidants. Furthermore, you’ll also lose weight more quickly since you’ll be avoiding foods with high caloric coefficients. Bottom line, steering clear of gluten will move you toward a healthier lifestyle free of processed food and dangerous chemicals while helping you reduce your body weight more easily. On the other hand, gluten-free meal deliveries will allow you to meet all the requirements of your new diet without spending countless hours in the kitchen. Juggling all the aspects of our busy modern lives is hard enough even without shopping for groceries, counting calories, preparing meals, looking for good recipes, and planning your caloric intake in advance. Meal deliveries do all those things for you and deliver delicious gluten-free meals right to your home. In other words, you’ll save a bunch of time on shopping, preparing meals, and cleaning your kitchen on a regular basis. The gluten-free meal deliveries on our list use only high-quality ingredients for their meals, so you’ll know exactly what you’re putting on your plate every single day. On top of that, you’ll also be able to save money since meal deliveries are usually cheaper than your local store. First of all, renowned gluten-free meal deliveries incorporate safe preparation practices for individuals who have celiac disease or other medical needs that demand a diet without gluten. Finding great-tasting meals without gluten poses a significant challenge today, especially if you’re not well-versed in creative cooking or simply don’t have the time to spend hours in the kitchen. This is why many famous dietitians, bariatric physicians, and weight-loss specialists recommend high-quality meal deliveries that guarantee completely gluten-free meal choices. Meal deliveries on our list are quite affordable and usually cost only a fraction of a healthy take-out meal. The ones with partnerships with local providers can often offer cheaper prices than your local grocery store. So, apart from the obvious set of health benefits, gluten-free meal deliveries will also save you a lot of money in the long run. One of the key factors that make meal deliveries as attractive as they currently are is their convenience. All you have to do is subscribe to a particular service, choose one of the predetermined meal plans or make your own, and a week’s worth of food will be delivered straight to your home address. It only takes around 10 minutes to reheat any of the delivered meals and you’re good to go. That’s pretty much as convenient as it gets. What’s more, you’ll know exactly what you’re eating since respected gluten-free meal deliveries pay great attention to providing their users only with the best ingredients available at any given time. Gluten-free meal deliveries have become a very popular trend due to their numerous health benefits, convenience, affordability, and the quality of the ingredients used to prep meals. In order to filter out the best of the best, we use a rigorous set of ranking criteria and apply it to all the companies on our list. In order to familiarize you with the entire process, we’ll share some of the most important ranking factors with you. The first thing we want to see is a steady stream of gluten-free meal options. Finding 100% gluten-free food is hard enough even without paying any attention to taste and flavor. Now, if we also want our food to taste delicious, things become exponentially more difficult. This is why only companies that offer a wide variety of gluten-free and delicious meal options can hope to secure a spot on our list. This criterion also explores customization options, so you could avoid ingredients you’re allergic to or simply don’t like and include those you truly enjoy. Variety is our second point of inquiry since adhering to any particular diet can become quite tedious and repetitive after a while. We want to see rotating menus with new delicious dishes available every single week. This way, you can keep using your favorite meal delivery service and eat the same gluten-free dishes only a couple of times every year. Diversity is especially important if you’re trying to lose weight and keep your cravings in check. Nutritional value and portion sizes are also very important since we want to make sure you receive all the necessary nutrients while enjoying the taste of your meals. Additionally, we’re interested in the overall flexibility of each service. We want you to be able to pause, skip or even cancel your subscription anytime you wish without any potential penalties. Finally, we also make sure the price tag matches the value provided, inspecting each company’s pricing policy. The following price comparison is designed to help you easily figure out which of our top-ranked gluten-free meal delivery services best fits your budget. We have brought all the pricing information to one place, including the shipping costs and details about the companies’ delivery areas, so you can identify the perfect fit in a single glance. What all of our top picks have in common is that they are currently the best on the market. Now it is time to discover what makes each of these gluten-free meal delivery companies unique. Explore their distinctive features in the mini-reviews below and choose the one that best satisfies your personal needs. Freshly is among the youngest meal deliveries dedicated to wholesome, all-natural food and delicious meals. There’s no place for gluten on its menu since all of its meals are produced in a gluten-free facility to avoid any potential cross-contamination. All of the meals are cooked fresh and delivered to your door without ever being frozen. Freshly also avoids using heavily processed, artificial food full of gluten, sugar, and artificial sweeteners. BistroMD offers a dedicated gluten-free program in addition to its extensive health library with exclusive tips from famous dietitians and fitness experts. In other words, the company offers everything you’ll ever need whether you’re trying to lose weight or simply live healthier. 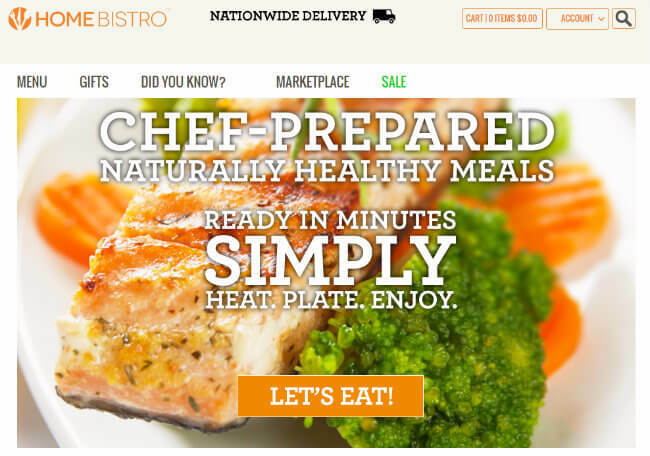 All meals provided by BistroMD are tested to meet the gluten-free standard prescribed by the FDA. They’re also designed to provide you with a perfect balance of healthy fats, lean proteins, and complex carbohydrates. The Good Kitchen uses only top-shelf foods without processed products, added sugars, preservatives, and additives. All proteins are grass-fed and pastured, produce is completely organic, and grains are gluten-free. The Good Kitchen features 2 meal categories (adults and kids) with 4 different meal plans in each. You can have your food delivered free of charge anywhere in the US, including Hawaii and Alaska. Home Bistro is a gourmet meal delivery service with restaurant-grade food choices ideal for all nutritional limitations and diets. The company offers a wide range of different gluten-free, low-carb, diabetic-friendly, vegetarian, low-sodium, Paleo, and heart-friendly options. The food is fresh frozen and delivered to your address in insulated boxes, which is ideal if you’re not home on your delivery day. The company’s kitchen is governed by a certified executive chef. Veestro is a plant-based meal delivery service with food options 100% free of honey, eggs, dairy, fish, chicken, and meat. Since the meals contain no animal byproducts, they can last longer without any reduction in quality. Veestro’s menu is not 100% gluten-free, but it features a section dedicated to gluten-free options. Veestro takes all the necessary precautions to avoid any cross-contamination in its production facility. 22 Days Nutrition is a vegan meal delivery service with only the finest 100% organic, gluten-free, non-GMO, dairy-free, and soy-free ingredients. Whether you’re on a vegan diet or simply want to experience something new, 22 Days Nutrition is the right place to start. All of the meals are 100% plant-based and the ingredients are obtained fresh and are never frozen in the process. The company also offers a rotating menu filled with delicious and perfectly balanced meals. 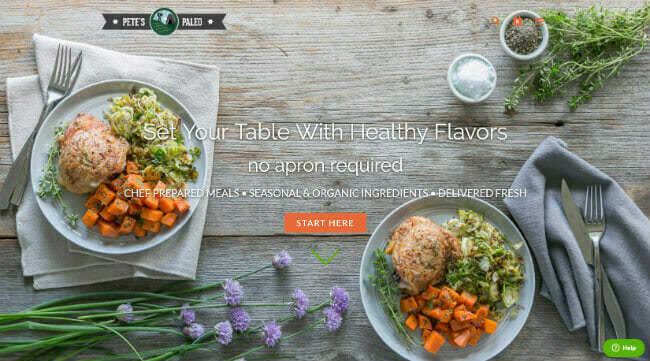 Pete’s Paleo is, as its name implies, a Paleo-centric meal delivery service that guarantees a 100% allergen-free diet. If you’re looking for a meal plan completely devoid of gluten, dairy, nuts, and soy, Pete’s Paleo is the place to be. The company also features an impressive food variety in its weekly menus. You can choose between 10 menu items prepared using different cooking methods and flavor profiles. On top of that, each week brings 20 veggies to introduce even more variety into your weekly diet. Trifecta Nutrition offers an abundance of healthy meal plans, including clean, vegetarian, vegan, and Paleo. The food provided is 100% USDA organic, free of gluten, soy, and dairy, never frozen, and grass-fed or wild-caught. You can opt for meals separated into 4 different categories or you can create your own meal plan using the a la carte menu option. Trifecta Nutrition will deliver delicious food right to your doorstep in all 50 states. 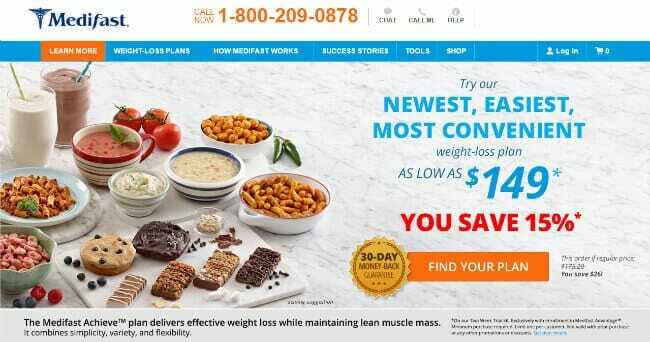 Medifast is a doctor-developed meal delivery service that focuses on healthy, delicious, and nutritionally balanced weight loss meal plans. The company offers a full 30-day money-back guarantee if you’re not satisfied with the results. Medifast has developed weight-loss solutions for customers with special dietary needs caused by conditions like diabetes or gluten and soy intolerance. It also offers dedicated meal plans for nursing mothers, vegetarians, seniors, and more. Healthy Chef Creations launched its nationwide gluten-free prepared meal delivery program back in 2016. Today, it features a wide range of fresh-made delicious meals for individuals with gluten sensitivities or celiac disease. All the food is prepared in a licensed, certified, sanitary, professional kitchen by award-winning chefs and delivered fresh (not frozen) directly to your home address anywhere in the US. The food is delivered in microwave-safe, BPA-free containers.